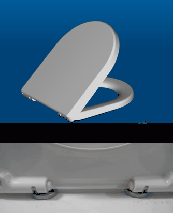 Toilet seat for Duravit happy D WC pan. 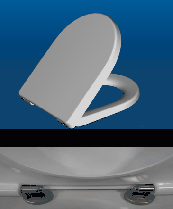 Developed to fit the Duravit HappyD range of toilet pans . This seat has a unique wrap over design, not available from Duravit. 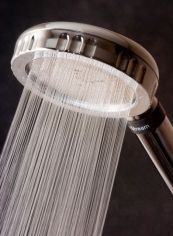 Manufactured from anti-bac urea compounds it features, soft close hinges and is easily removed for cleaning by pushing 2 chromed quick release buttons.